I recently received a Voigtlander Brillant from RH Designs. 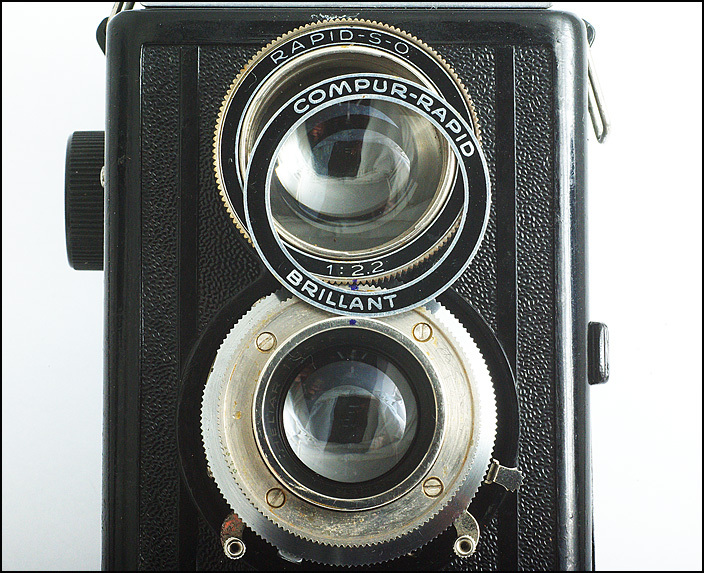 I like 6x6 cameras and I like TLRs but this is one I had not handled before, with a bakelite body and a brilliant lens in the viewfinder. 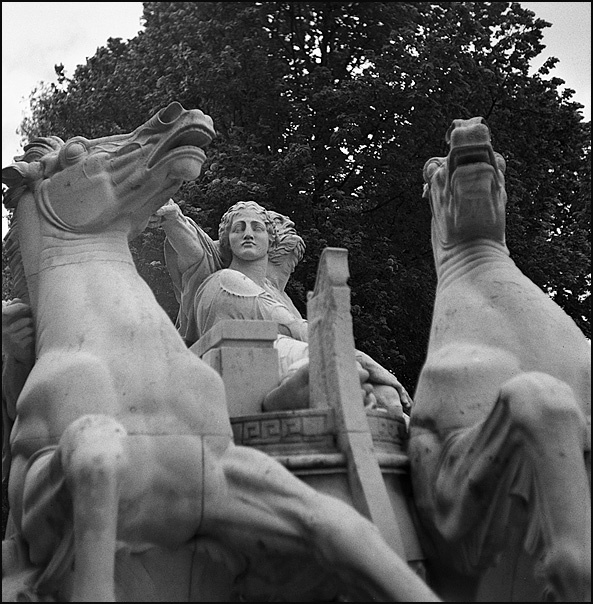 The number on the Heliar 3.5/7.5cm lens suggests that this one is immediately post war. 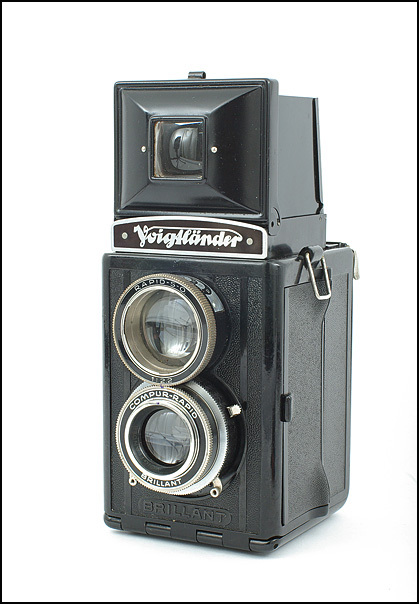 What exactly were Voigtlander thinking when they put a Heliar on a proto-plastic box? Well, the bakelite and metalwork have survived very well, so maybe they did have the right idea. 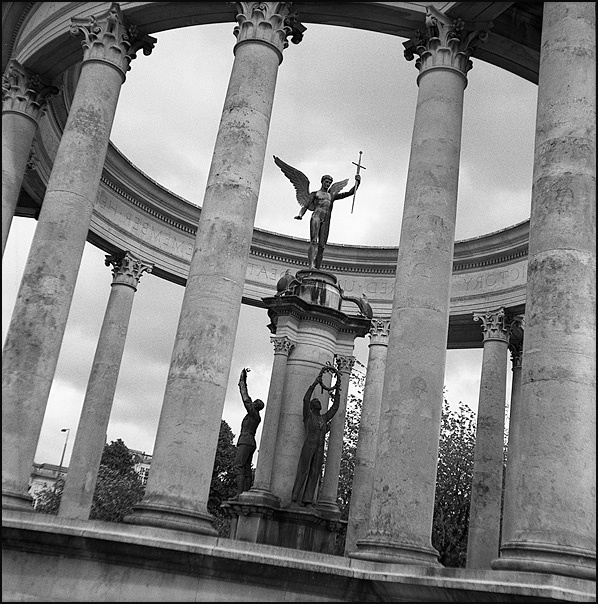 However, the lens elements were cloudy and the shutter was slow, so it was time for a little service. Miniaturisation used to mean something quite different from what we think of as micro-technology today, but the demand for faster shutters in smaller packages suggests to me that mechanical design was in its heyday through the 1940's and '50's. 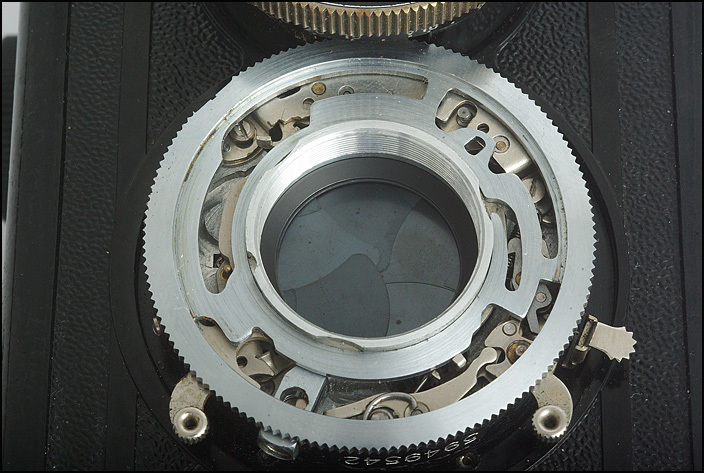 In less than fifty years cameras progressed from the guillotine shutter at an unreliable 1/25 to the Compur Rapid with a highly consistent 1/500, which is as fast as most leaf shutters have ever attained. The mechanics are impressive. I've already been inside a few of these, and their counterpart the Prontor, so I knew what to expect. How to get in though, is a different challenge with each brand of camera. Where are the hidden screws? Is this a bayonet? Should I approach the face of the shutter from the rear? You look for telltale signs, and with the Brillant it was the slight rocking of the name disk on the taking lens. 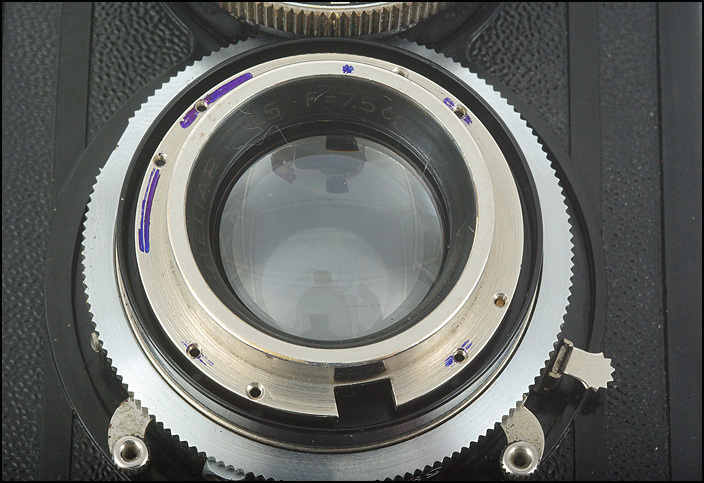 I probably uttered a sigh of relief when I realised that the disk was only glued on, and when I had prized it away from the lens I saw the four screws of the front plate. No problem there, so onto the next ... marking the focus point of the front element before removing it. I soon saw that it wasn't going to be that simple, as moving the perforated black collar showed two sets of screw holes. I had to mark the ones that the front plate had been screwed onto so that it would go back into the right place. Removing the collar was like a Chinese puzzle. It rotated freely most of the way around, but it was presumably blocked by an infinity guide somewhere - on the collar, or underneath it? I finally was able to swivel it around till the catch lined up with the gap in the focus ring below. I could then unscrew the ring and take the front element with it. 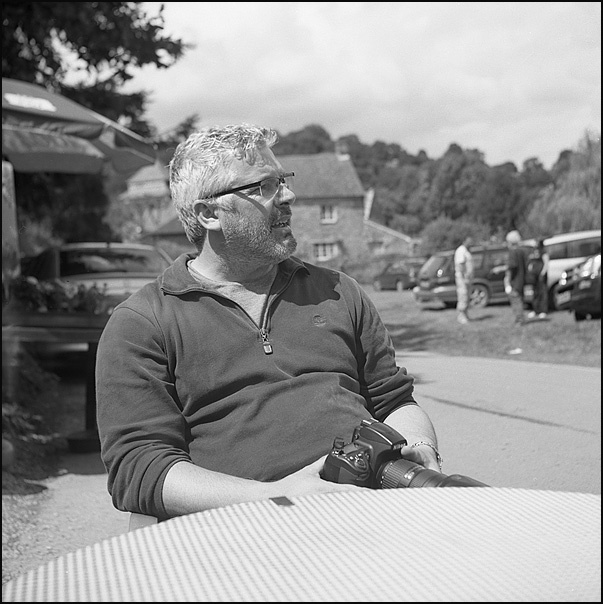 Fortunately, it turned out that infinity was set with the front element fully screwed in, and any adjustment carried out with the focusing lens of the viewfinder above. Taking the middle lens assembly out can be problematic. 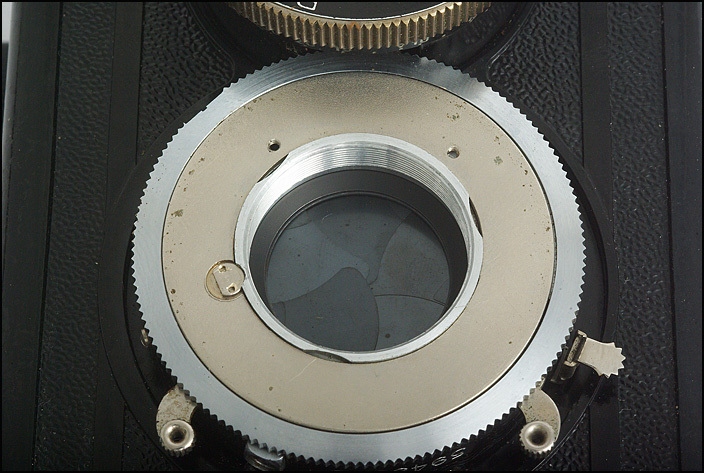 The outer group screws into the inner with a very fine thread - mess that up and you can throw the lens away. 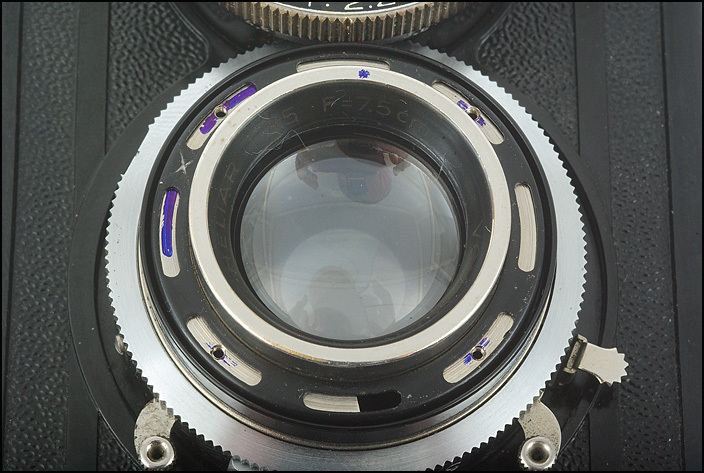 The question is how much torque will be required for the middle lens section to come out. A lot, as it happens. And you need the right tool to take it out without damaging any part of it. 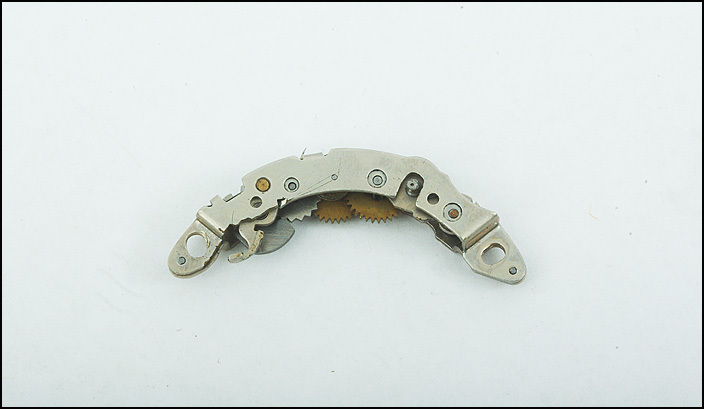 One further face plate leads into the shutter mechanism. Of all the different types of locking rings, this half-moon bolt is probably the least fragile and only requires a fine prong pliers to turn it around. The timing ring below holds various springs and guides in place and this must be lifted off carefully while very carefully noting the position of each and every part beneath. When you consider that the American photographer Gordon Parks gained his initial success with a second-hand Voigtlander Brillant you realise that such a camera can serve very well if you have enough skill and a good eye. One word of advice. The first two cameras I tried to repair ended as failures, and no one should attempt working on a valuable camera without some good experience and considerable research. 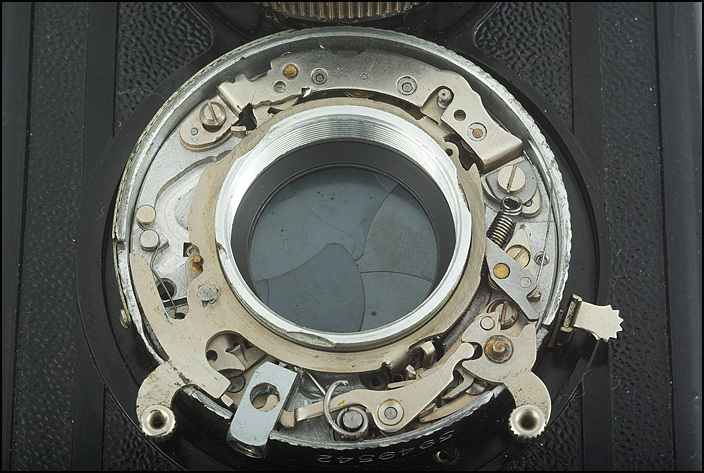 Over time, and with great attention to detail, it is possible to become quite profficient at basic repairs - one might then attempt a shutter.